Most of the English words and phrases in this podcast are equally useful for when you meet people and introduce yourself, or when you’re trying to ‘sell’ your skills at a job interview. You’ll get the opportunity to hear five different voices (and accents) and improve your English listening skills as people tell us about what they do in their work every day. 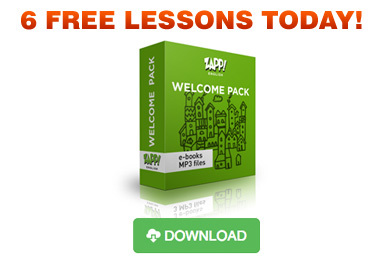 We will be publishing three of the audio classes from this Zapp! English Vocabulary for Work (Intermediate) series free on our website. Click Here to get immediate access to ALL 10 audio podcasts and eBooks (+ transcripts) from this series! Visit our iTunes channel for Zapp! English Vocabulary & Pronunciation – Click on ‘Subscribe free’, and be the first to get our new English Vocabulary & Pronunciation podcasts FREE! Hi, Your website is very useful and helps me learn English easier and quicker. Thanks a lot. You’re welcome Kina! Thanks for listening…! my modest gratitude to every one who help by any means to make this website see the light and hopping the best for all of you . hi, this is a very use full site for every English learner. Thanks for helping to learn English..
Sir I want some pdf format script. Plz help me sir. This courses are very helpfull to us. Hi Rubai, the audio is free but we have to charge for the PDFs so that we can afford to pay the web server costs, and the costs for producing all the materials in the first place. Good luck!